If you have been arrested for a criminal offense, in Morgantown, Monongalia County, WV or the surrounding areas (including Fairmont/Marion County, Kingwood/Preston County, Clarksburg-Bridgeport/Harrison County, Grafton/Taylor County) do not represent yourself and risk a permanent black mark on your record. It has long been stated that “he who represents himself has a fool for a client.” (Lincoln). Don’t be a fool—get competent legal representation to defend your rights and to help you weed through the criminal justice and court system. It is an unfortunate reality that we all make mistakes, and sometimes those errors have criminal implications. Be sure you understand all of the legal ramifications of the charges against you and get counsel who can steer you through the criminal process and help you get the best results with the least imposing and permanent consequences. The Criminal defense lawyers at Adams Legal Group, PLLC, are located in downtown Morgantown and provide criminal legal services to the greater Morgantown WV community in all types of misdemeanor and felony criminal matters, as well as in Federal criminal cases in the United States District Court for the Northern District of West Virginia. Our attorneys also serve Marion, Preston, Harrison and Taylor Counties in criminal defense cases and frequently travel to Kingwood, Fairmont, Clarksburg and Grafton to represent clients in court. If you have been arrested, charged and/or arraigned on criminal charges for any criminal offense in Monongalia, Marion, Preston, Harrison or Taylor County, it is imperative that you retain competent criminal legal counsel early in the process to preserve and protect your rights. Without counsel to steer you through the process, you could end up at a serious disadvantage in negotiating a plea deal with the prosecutor. Worse yet, if your matter goes to trial and you do not have a competent, experienced trial lawyer defending your rights, can seriously hamper your ability to present your best defense – the manner of presentation of evidence and testimony is key to your success. Moreover, knowing the law – the criminal charges against you, the applicable defenses, sentences and possible alternative sentencing possibilities, such as diversion programs, probation or home confinement are key to both presenting your defense and negotiating a plea. Call us today and get an aggressive and knowledgeable criminal defense advocate on your side – (304) 381-2166. Being based in Morgantown, WV, home to West Virginia University, our criminal defense attorneys dedicate a portion of our criminal practice to representing WVU students in all manner of criminal cases, such as DUI/DWI, public intoxication, open container, underage possession or consumption of alcohol, possession of marijuana or narcotics, obstruction of justice, fleeing from an officer, battery, left of center, among other crimes. We recognize that as a student at WVU you are often far away from home and the support of your parents and family. You also have school and social relationships taking up your precious time. If you also face criminal charges for some minor indescretion, get the support and legal help that you need, so you have one less thing to worry about. We offer low flat-fee retainers for WVU students and accept all major types of credit cards. Call us today and leave the worrying and the legal work to us – (304) 381-2166. As a student at West Virginia University, if you have been charged with a criminal act, even a relatively minor misdemeanor charge, you are bound by the WVU Code of Student Conduct and thus you may be subject to a Student Conduct Board Hearing, in addition to the criminal court proceedings. Our criminal defense lawyers, have represented students at these proceedings, usually with very favorable results. Penalties resulting from these hearings can include any number of sanctions, up to the most severe, which includes expulsion from WVU.It is important to know your rights and to have competent legal counsel at your side to guide you through one of these proceedings. If you are facing potential sanction by the WVU Student Conduct Board and have a review hearing as a result of criminal charges against you, please call us today for a free consultation and to discuss your legal rights. Alcohol often causes people to make poor decisions, as it clouds your judgment, and sometimes those really poor decisions lead to driving under the influence (DUI) or driving while intoxicated (DWI). Morgantown, as a college town, is no stranger to alcohol-related incidents, including public intoxiation. If you were unfortunate enough to be arrested and charged with an alcohol-related crime, do not allow yourself to be the one that the prosecutors make an example out of. Know your rights and options. Consult with us today to see how we can help you if you have been arrested or charged with an alcohol-related offense. We can represent you on many other types of minor criminal misdemeanor and traffic citations. Do you need representation for a driving citation in traffic court? Have you been charged with disorderly conduct or disturbing the peace, assault or battery, domestic violence or domestic battery? Call Adams Legal Group today and get the right criminal defense attorney on your side. We usually charge a flat fee for defending minor criminal misdemeanor cases. In order to keep our fees and your legal defense costs low, reasonable and competitive. 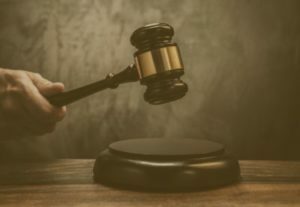 In order to provide you with the best service possible for our fee, we primarily handle criminal defense cases in Morgantown, and closely surrounding cities of Kingwood, Grafton and Fairmont, West Virginia.